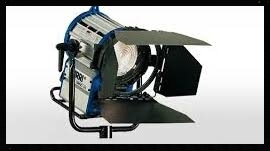 For studios or outdoor locations. 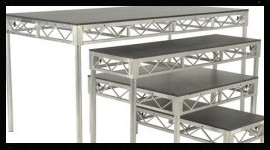 We can also supply Riggers to build it. Maximum low lying fog with zero residue. 4 units available. That's half a football pitch. 2, 4 & 8 Banks. 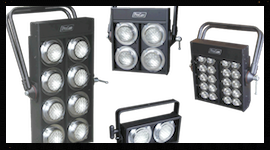 Great for lighting streets, crowds, sports and arenas. 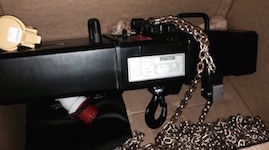 Ten 1.5 ton chain hoists coming out of their boxes.